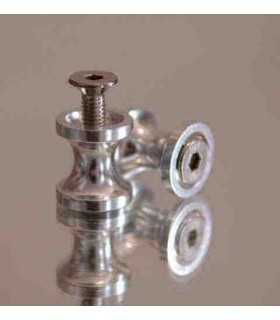 Front headstock stand for sport bikes, supplied with a kit of 5 different pins included. 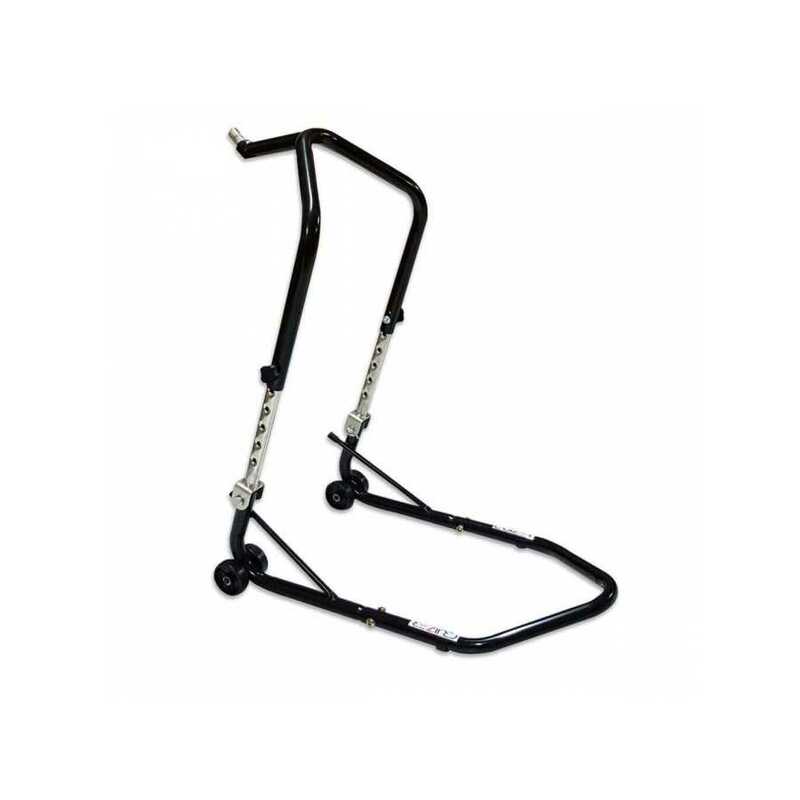 It allows the removal of both front wheel and fork rods. 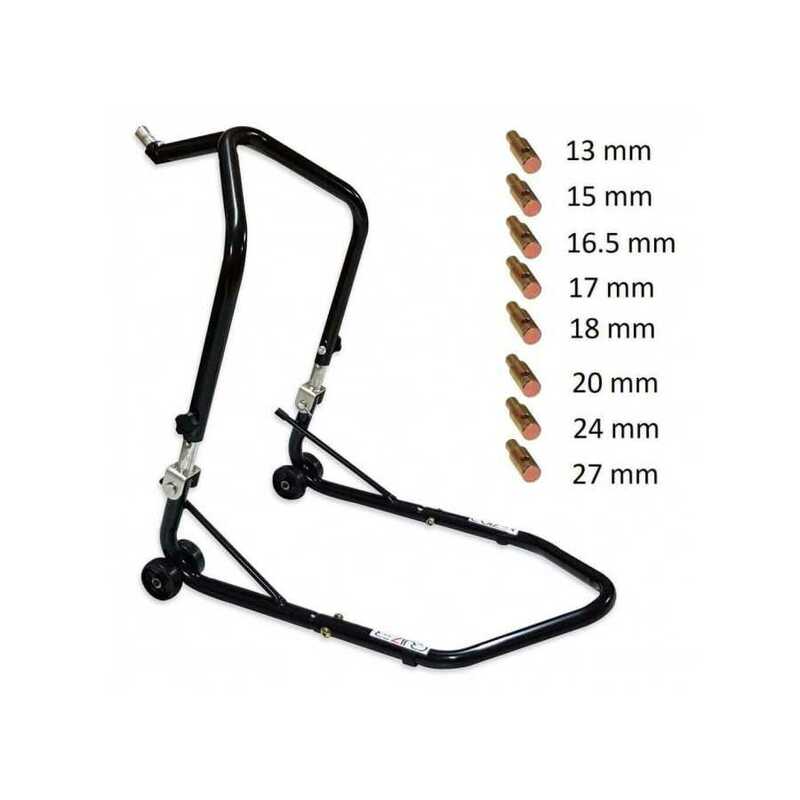 The pins can be fitted on all motorcycles provided with a hole underneath the steering. 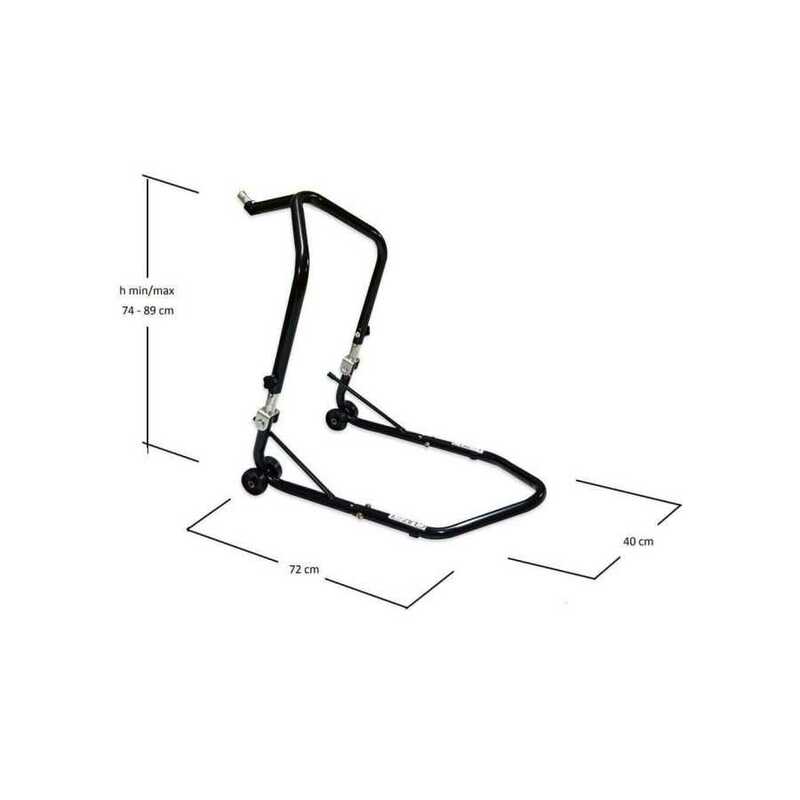 It can be used only in combination with a rear stand already in position.